In WPF, you can use the Colors class to access a series of predefined colors, defined as static properties of the Colors class. 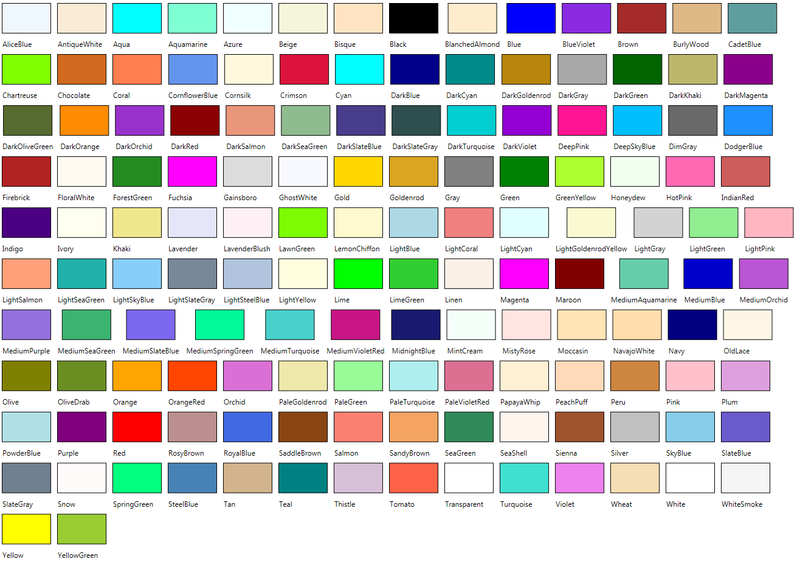 You reference each color just using the name of the color. For reference, here’s a little application that shows all colors in a ListBox. (Credit to casperOne, in a stackoverflow post that shows how to create an object that encapsulates the list of properties in the Colors class). Here’s the final result. (Click on the image to see it full-sized).